What is a Paw Paw? Pawpaws…ever hear of them? Some of you may not have, while some (like me!) get really excited at the mere mention of this regional treat. For those of you not too familiar with this fruit, it is the largest fruit native (that’s right, native!) to North America. It grows wild in eastern states, which Ohio is fortunate to be one of about 26 states. Pawpaws, Asimina triloba, were traditionally consumed by Native Americans, who planted pawpaws as they traveled, utilizing the fruit as a food source, and used the bark for making baskets and fish nets. Explorer Hernando deSoto observed the Native Americans consuming pawpaws about 1540, so later pioneers ate pawpaws before apples and other fruits came to America. Pawpaw trees produce this greenish-blackish fruit in the late summer/early fall, and is usually three to six inches long. 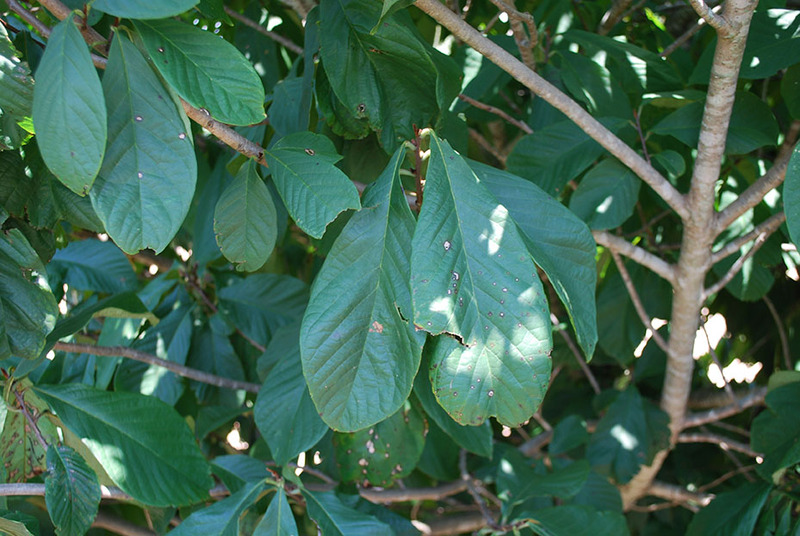 The flesh is pale to bright yellow and contains a number of glossy, dark brown seeds. The flavor is truly unique, by some descriptions it is a combination of mango-banana-citrus deliciousness. This fruit doesn’t keep well, it bruises easily and has a short shelf life, which largely explains why they don’t appear readily in stores, and perhaps why they aren’t produced in large scale. This isn’t a bad thing though, it protects the allure of the pawpaw, allowing it to remain a regional and seasonal treat. The most rewarding way to enjoy a pawpaw is to not look for them in stores, or to track down a grower, but to head out into the woods on a late summer day, and forage for them yourself. You’ll want to look for wooded areas that has a canopy but still allows a decent amount of sunlight to filter through to the forest floor. These understory trees can thrive almost anywhere, from river bottoms to hill tops, as long as they are well-drained soils. 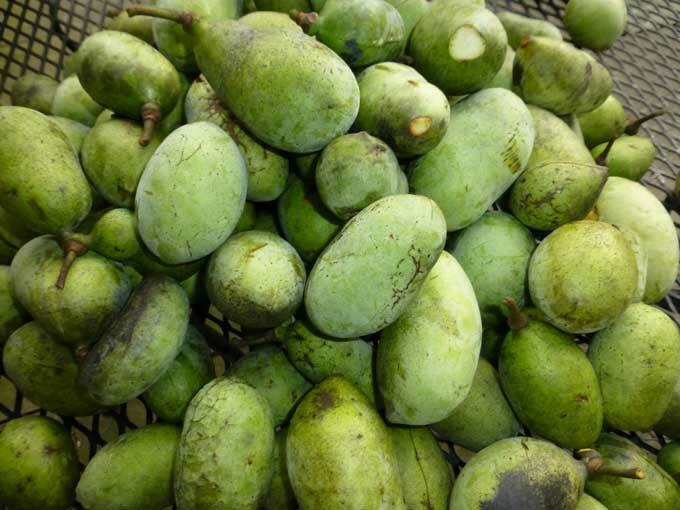 Pawpaws at the peak of ripeness simply fall from the tree, so the key is to pick almost-ripe ones whose stems break off with no resistance. The skin will have a little give, like a perfectly ripe peach. Don’t pick them firm, thinking they’ll ripen over the next couple of days, trust me, they won’t. Don’t forget to leave some for the critters, and for reproduction of the species. Paw Paw fruit - a delicious treat fresh or baked! Once picked, pawpaws won’t last very long, you’ve got two to three days at the most before they start declining. They can be eaten fresh of course, or preserved in a number of ways. Baking items can be made, like pie, bread, muffins, and cookies. Custards, jams, ice cream, beer….the possibilities are endless. A simple internet search for pawpaw recipes will result in hundreds of recipes one can try. It’s coming to the end of pawpaw season here in Ohio, you may still find some late-ripening ones, but do not fret, the leaves are still on and should be for a few weeks yet, you can still go out and locate the trees, and keep them in mind for next year. 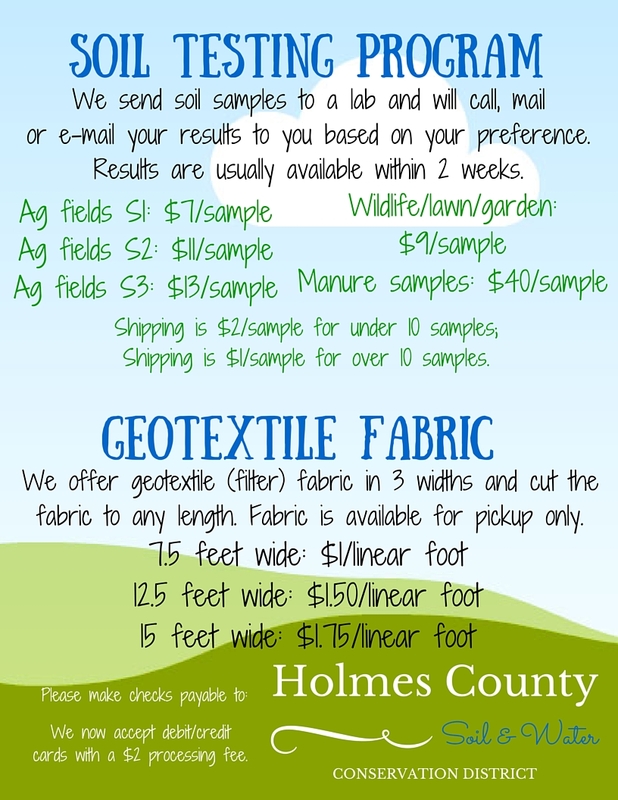 Newer PostWould you pay $10 to prevent a ton of topsoil from being eroded into our waterways?